Serving the Communities of Ann Arbor, Jackson, Adrian, Dundee and Lansing, MI. 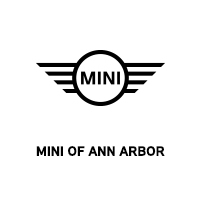 MINI of Ann Arbor opened in the summer of 2013 — just 11 years after the first MINI was sold here in the United States. Two years later, in May of 2015, The Germain Motor Company purchased the dealership to add to a growing dealership presence here in Ann Arbor. We are now proud to serve MINI drivers from communities like Canton, Detroit, Jackson, Monroe, Brighton, Howell, Ypsilanti, MI and Toledo, OH. They say a MINI can come in 10,000,000 different configurations and our goal is to make your buying experience as unique as your new MINI. Our sales staff are considered MINI Geniuses. They are fully trained in every facet of our cars and love sharing their knowledge. We don’t just sell vehicles at MINI of Ann Arbor, we facilitate our client’s selection of the car that fits their wants and needs. With over 80 new MINI vehicles on the property at any given time, you’ll have plenty of options. But just in case we don’t have the exact MINI you’re looking for, we’re happy to custom-order your dream car directly from the MINI factory in Oxford, England. If you’re interested in a used MINI, we have plenty of those too. In fact, we have more than 60 used cars including Certified Pre-Owned. Nobody knows your MINI better than our factory-trained technicians. They have a workshop full of specialized MINI tools and diagnostic equipment to fix your MINI right the first time, every time. While you’re waiting for your vehicle to be serviced, you can relax in our waiting area that has fresh, locally grown granola snacks, coffee, and water. In case you have prior obligations, we even offer a free shuttle service and loaner vehicles. Don’t forget that all new MINI vehicles come with Complimentary Scheduled Maintenance for 3-years/36,000-miles which covers things like engine oil services, cabin air filters, and brake fluid services.